Delicious Kitchen by Eat Well is a restaurant offering Chinese cuisine at affordable prices. Ever since I saw this dining place at The Veranda of Robinsons Galleria, I have been wondering why this Chinese restaurant doesn’t have a Chinese-sounding name. Well, I forgot to ask the staff when we visited this place more than a month ago. We were there for our afternoon snack, which turned out to be our early dinner. 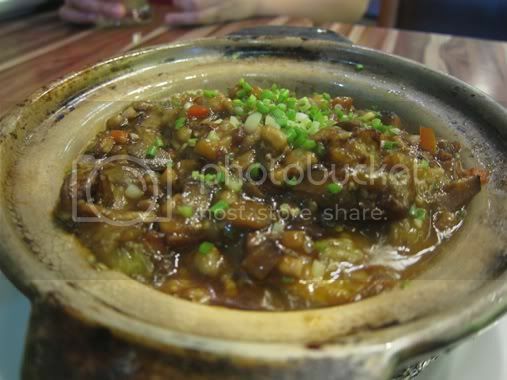 We ordered the following: Eat Well Crispy Chicken, Eggplant with Minced Pork and Salted Fish Hot Pot, Seafood Rice and Apple Shake for the little boy. We all liked this! 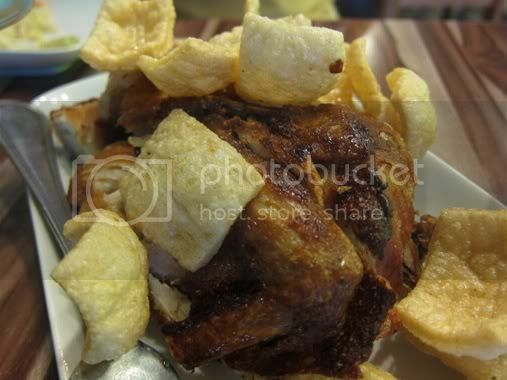 The chicken skin was thin and really crispy, and the meat was juicy and tasty. We skipped the gravy, actually, because the chicken tasted really good on its own. This was a bit salty, and we needed more rice to finish this hot pot dish. 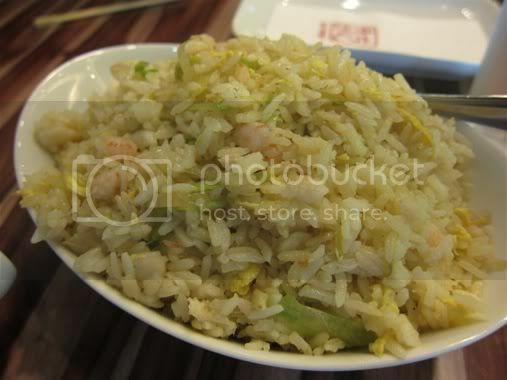 There’s nothing impressive about this fried rice, but it complemented the delightful crispy chicken and salty hot pot dish that we ordered. We should have opted for iced tea or water for the little boy because he didn’t like this. I understood why when I took a sip. 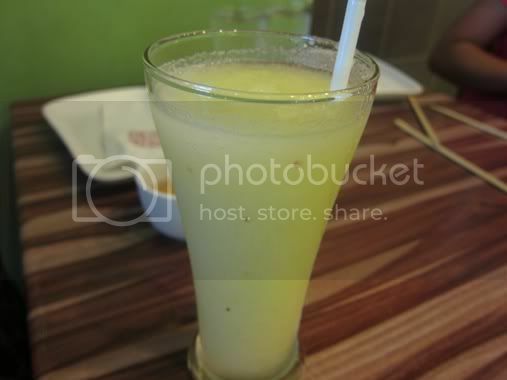 There was too much sugar in this fruit shake, and the sweetness overpowered the apple flavor. 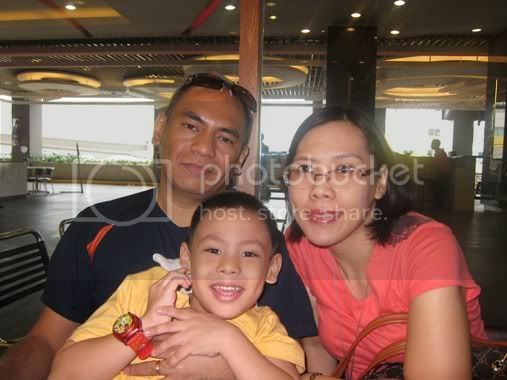 We paid a little more than Php700.00 for everything we ordered. We will definitely come back for their crispy chicken, but we’d love to try their other hot pot dishes and fried rice next time, plus dim sum, too! 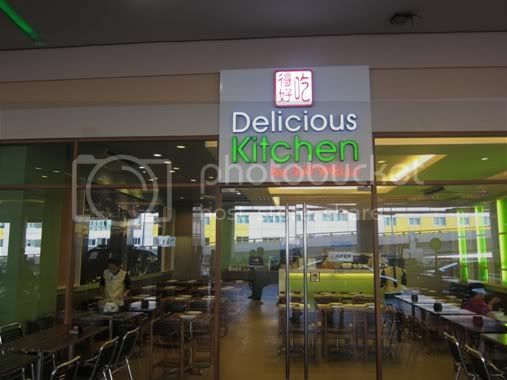 This entry was posted in Delicious Kitchen by Eat Well, Restaurant Review, Robinsons Galleria. Bookmark the permalink. oh mama mia..nakakagutom naman dito! delicious kitchen nga! sa pic pa lang nagugutom na ko!